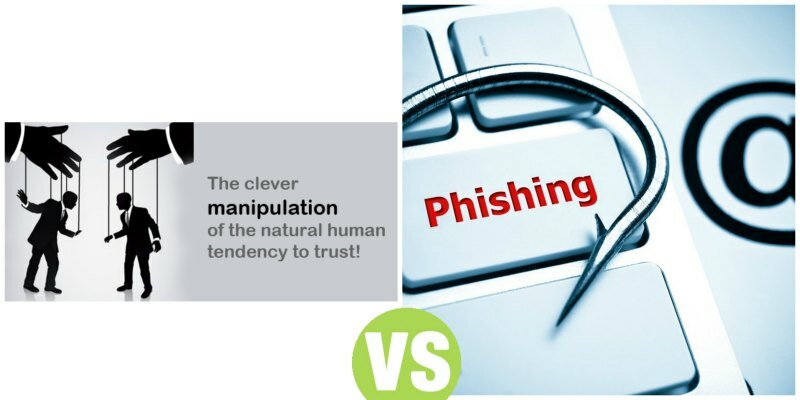 Summary: Difference Between Social Engineering and Phishing is that as related to the use of computers, social engineering is defined as gaining unauthorized access or obtaining confidential information by taking advantage of the trusting human nature of some victims and the naivety of others. While Phishing is a scam in which a perpetrator sends an official looking e-mail message that attempts to obtain your personal and financial information. Some phishing e-mail messages ask you to reply with your information; others direct you to a phony Web site, or a pop-up window that looks like a Web site, that collects the information. As related to the use of computers, social engineering is defined as gaining unauthorized access or obtaining confidential information by taking advantage of the trusting human nature of some victims and the naivety of others. Some social engineers trick their victims into revealing confidential information such as user names and passwords on the telephone, in person, or on the Internet. Techniques they use include pretending to be an administrator or other authoritative figure, feigning an emergency situation, or impersonating an acquaintance. Social engineers also obtain information from users who do not destroy or conceal information properly. These perpetrators sift through company dumpsters, watch or film people dialing telephone numbers or using ATMs, and snoop around computers looking for openly displayed confidential information. Phishing is a scam in which a perpetrator sends an official looking e-mail message that attempts to obtain your personal and financial information. Some phishing e-mail messages ask you to reply with your information; others direct you to a phony Web site, or a pop-up window that looks like a Web site, that collects the information. If you receive an e-mail that looks legitimate and requests you update credit card numbers, Social Security numbers, bank account numbers, passwords, or other private information, the FTC recommends you visit the Web site directly to determine if the request is valid. Never click a link in an e-mail message; instead retype the Web address in your browser. A Phishing Filter is a program that warns or blocks you from potentially fraudulent or suspicious Web sites. Some Web browsers include phishing filters.